When Matt Huizenga (Ohio Northern University) looked at the Rivermen’s roster at the start of the year, he didn’t know what to expect. 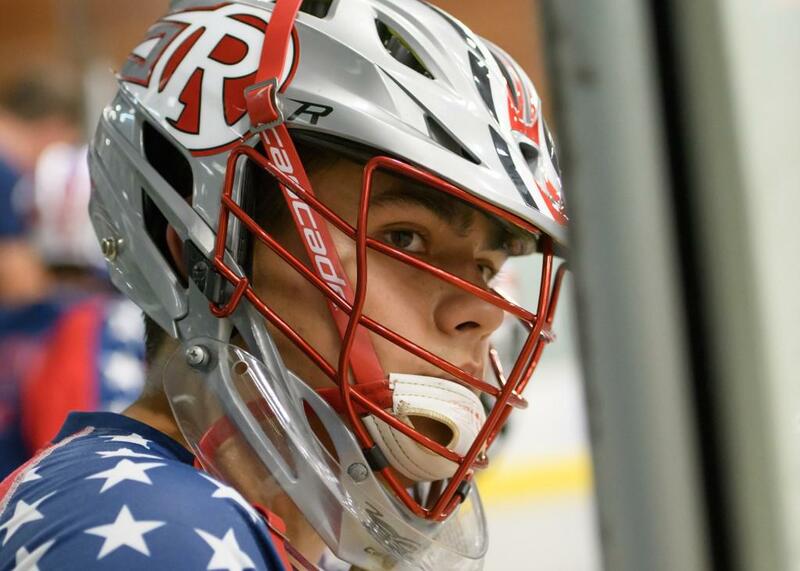 The Resolute Lacrosse product was the first goaltender drafted in the Ohio Collegiate Box Lacrosse League Draft – later named a runner-up in the league’s MVP race – and while he’s been a standout stopper with both club and country (via Team USBOXLA), collegiate box in the area was obviously brand new. 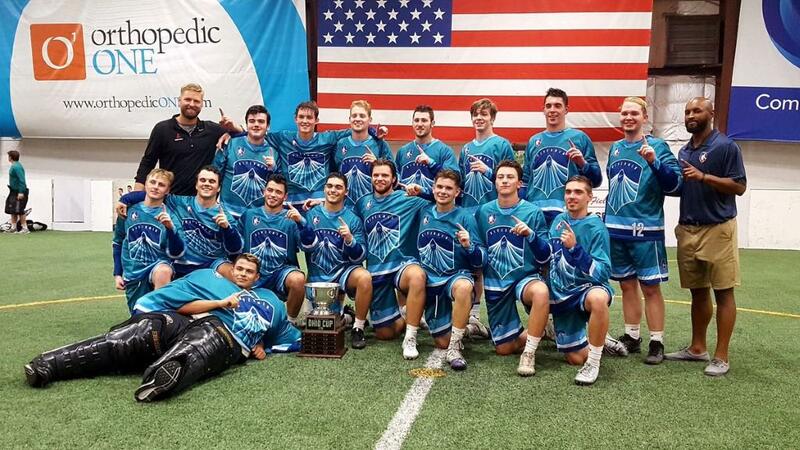 The OCBLL joined the Colorado Collegiate Box Lacrosse League under USBOXLA’s National Collegiate Box Series banner this year, and what was once an unknown soon became a smashing success in 2018, culminating in Huizenga and the Rivemen rolling to an Ohio Cup title last night. The state champs defeated the Cleveland-based Walleyes in two straight games, sealing the deal with an impressive 15-9 win at the Resolute Athletic Complex in Columbus. “I’m ecstatic,” exclaimed Huizenga shortly after lifting the Cup alongside his teammates. “I didn’t know how the season was going to go. Some of those teammates included Jack Jasinski (Ohio State University), who also finished as an MVP runner-up behind the Aviators Landon Trout (Bellarmine University), and Nick Musci (Ohio State University), who co-led the Rivermen in post-season point production. The Buckeye brothers were one of the highest scoring duos in the NCBS, and continued that impressive play in the playoffs, impacting action at either end of the floor. Another versatile forward for the Rivermen was Jack Hannah (University of Denver), who would have been one of the rare names Huizenga recognized in the preseason, as the pair played for Team USBOXLA U18 during the 2017 #bctour against top British Columbia-based clubs. While Hannah put up decent numbers in the regular season, it was his play during the Rivermen’s successful postseason that really set the potential future pro apart from the pact. Hannah led the team with 11 goals in just three playoff games, which included a heroic six-goal effort against the Walleyes in Game 1. His sharp shooting to open the series proved too much for the Walleyes, who struggled to contain the talented Milford-native. Led by former Syracuse sensation and National Lacrosse League vet Dan Hardy as their bench boss, the Rivermen were also strong defensively too, holding the opposition to single digit scoring eight times this year. While Huizenga’s athleticism and technique between the pipes helped, their defensive approach, especially in Game 2, was difficult to breakdown. The OCBLL was made possible through a unique relationship with USBOXLA, Resolute Lacrosse, Ohio State University and Cleveland State University. Stayed tuned to USBOXLA.com for news on 2019 NCBS expansion in Ohio and throughout the country.